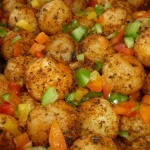 Small Parisienne potatoes are marinated in oregano, paprika, garlic and other spices then baked. They emerge from the oven soft crusted in seasoning and brimming with flavour. 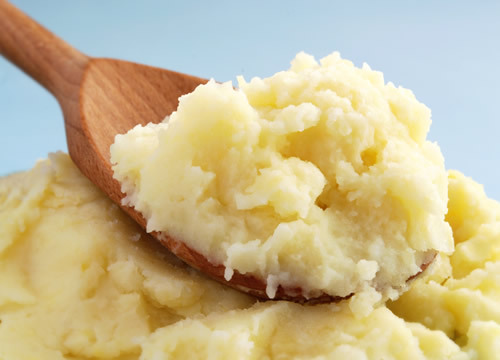 Roasted-mashed garlic and boiled-mashed potatoes are combined with melted butter, heavy cream and milk then whipped into dreamily light form. Season with salt and pepper, as desired. Golden creamer potatoes, quartered, boiled and processed till they’re fluffy merged with hot milk, melted butter and chopped chives. You’ll enjoy every angelic mouthful. 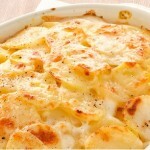 Successive layers of sliced potatoes in a cream and cheese sauce with a crusty topping of breadcrumbs and grated cheese. 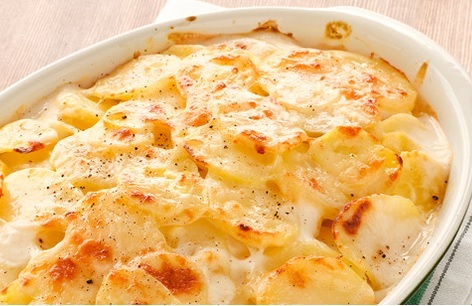 It’s creamy and gooey and crunchy, all at the same time. Light and fluffy on the inside with a crisp, golden skin, each baked potato is slit down the center and served with butter and fresh black pepper. Petite potatoes are quartered, tossed and coated with olive oil, garlic, rosemary, salt and pepper and baked until browned and crisp. 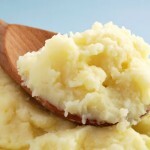 Ideal as a side dish or a filling finger-food. “What smells so good?” These do and they taste even better after the potatoes are tossed in olive oil, fresh thyme, rosemary and garlic – then baked until lightly browned. 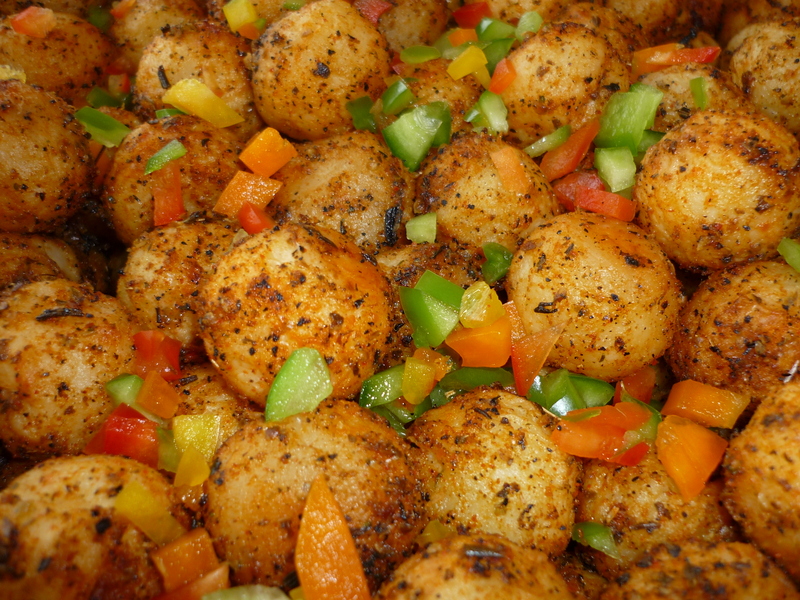 Potatoes are cut into uniform wedges, coated with house specialty oil, seasoned with rosemary then baked till they’re golden brown. 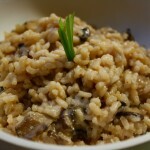 This savory rice dish is distinguished by its nutty, toasty taste and grains that are firmer and less sticky than usual. 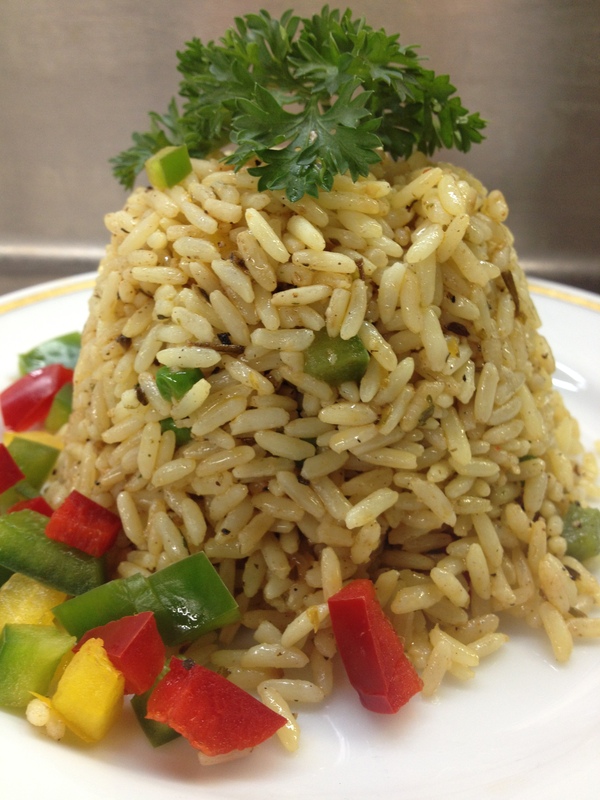 The additional flavour results from sauteéing uncooked rice in melted butter and browned onions then cooking it in chicken stock & seasonings, the rice grains absorbing both. The light, fluffy texture of basmati rice harmonizes with coconut milk and subtle seasonings like turmeric, a dash of cinnamon and black currants. 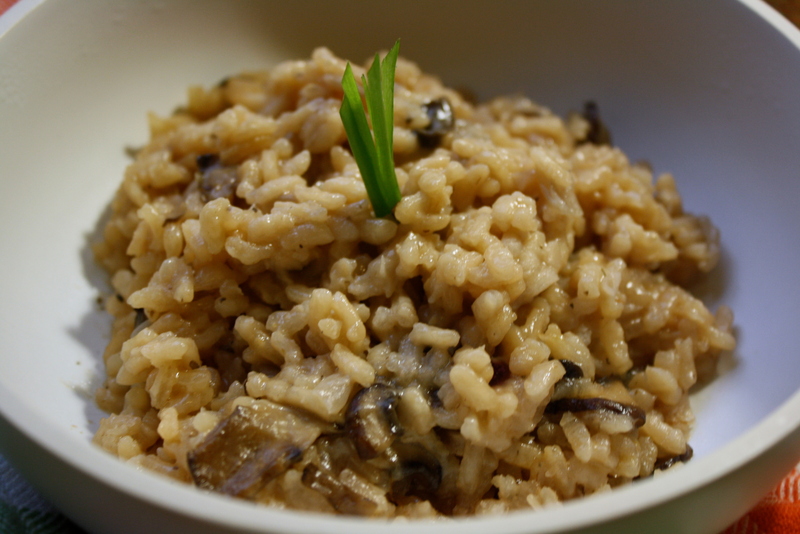 A northern Italian rice dish cooked in chicken stock and dry white wine to a smooth, creamy consistency. 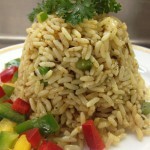 Uncooked rice is added to a pan where onions, garlic and celery have been frying slowly in butter and olive oil. After a time, ladles of white wine and stock are progressively added until the rice absorbs everything. Think how that will taste: delicious!